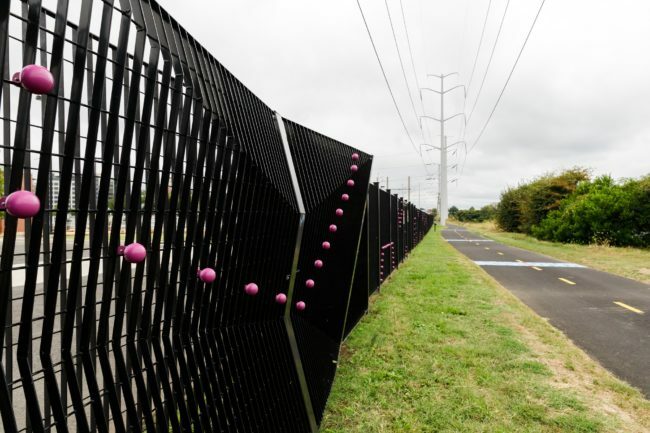 Commissioned as a unique design enhancement for the fence surrounding the Water Pollution Control Plant, Ripple reflects the function of the plant and serves as a landmark and gathering point for the community. 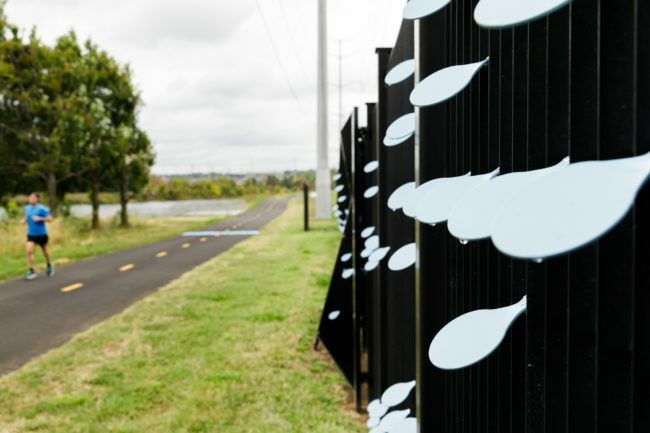 The artwork consists of more than 800 linear feet of undulating fence panels whose shape calls to mind the flow of water in and out of the facility. 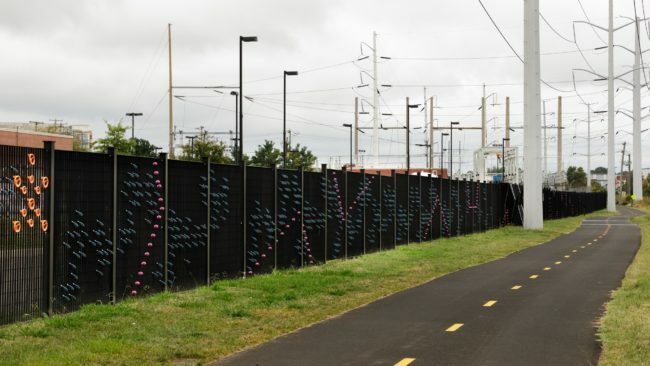 The panels are adorned with brightly colored “widgets,” which are based on the designers’ interpretation of tools and methods used at the plant to treat 30 million gallons of wastewater from residences and businesses each day. Together, these elements represent the importance of microorganisms in the water treatment processes. 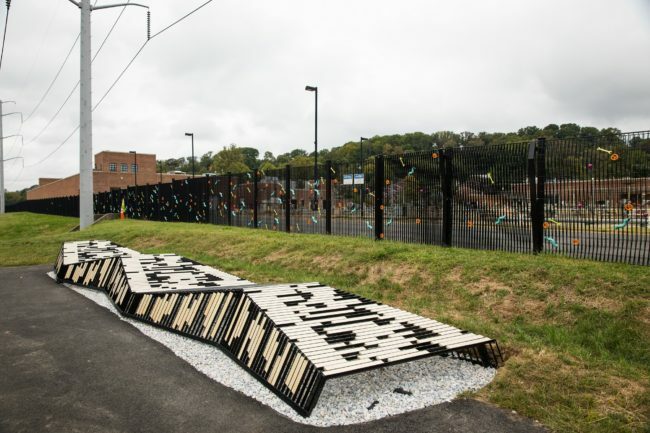 Dutch artists Tejo Remy and Rene Veenhuizen are known for reusing existing resources and building awareness about our connection to the environment through their work. 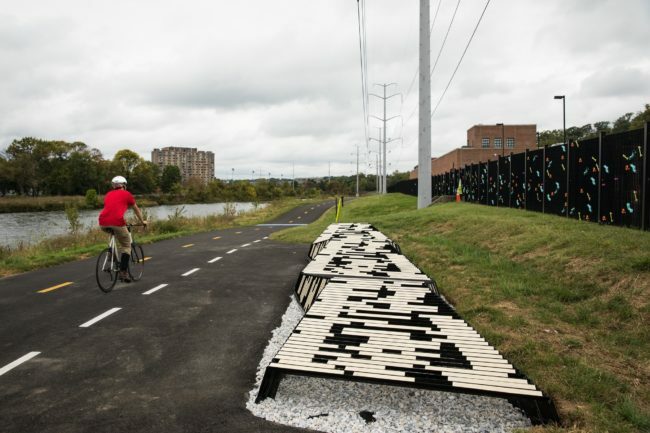 Their innovative design creates an inviting and educational public space for people of all ages. More information about the designers.